The LX200-ACF includes all the field-proven features of the LX200 including GPS, Primary Mirror Lock, Oversized Primary Mirror, SmartDrive™, Smart Mount™, AutoStar® II and more. 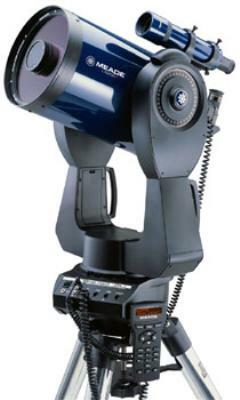 Plus, the LX200-ACF comes with observatory-class optics crafted in Irvine, California, Field Tripod, 1.25" Diagonal Prism, and a Series 4000 26mm 5-Element Plössl eyepiece. Click the button below to add the Meade 8 Inch LX200-ACF Advanced Coma Free w/UHTC Coatings to your wish list.